Khashoggi, a U.S. resident and Washington Post columnist, disappeared on Oct. 2 after he walked into the Saudi consulate in Istanbul to obtain documents for his upcoming marriage to Hatice Cengiz. 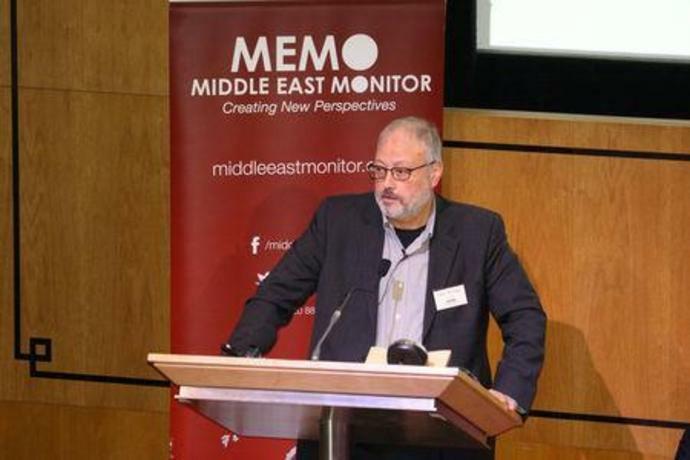 For weeks Saudi Arabia denied knowledge of what happened to him, initially claiming Khashoggi had left the building. On Saturday Riyadh said he was killed in a fistfight in the consulate. The Saudi foreign minister has since called his death a "huge and grave mistake". The Istanbul governor's office has put Cengiz, a Turkish national, under 24-hour police protection, Anadolu said. Authorities did not immediately respond to a request for comment on what prompted the decision to give her a security detail. After Saudi Arabia confirmed his death, she wrote on Twitter in Arabic: "They have taken your body from this world, but your beautiful smile will stay in my world forever."